Some home improvement projects require very little physical strength. Certain projects, however, might require quite a bit of strength. The difficulty in moving a granite slab depends on how large the slab is, as well as how much preparation and planning may be required. The most important thing, however, is the safety of those involved. 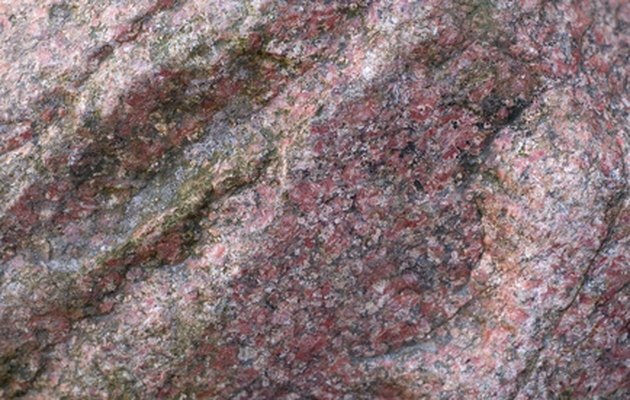 The next most important thing is keeping the granite slab from being dropped, cracked or damaged in any way. Granite slabs can be used to accentuate your home’s landscaping. Use some sort of support when moving your granite slab. Some granite comes attached to wooden supports, which can be used when moving. If not, you can create your own supports using 2-by-4s. Connect several 2-by-4s to create a frame that matches up with the size of your granite slab. You can then attach the slab to the frame using ratcheting tie down straps. Ask someone to help you when it's time to lift the granite slab. Most slabs for home use can be lifted by one or a few people. Don't be afraid to ask for help if needed. Attempting to lift a heavy slab can cause an injury and damage the granite. Place the granite slab on a dolly to transport it from one spot to another. Make sure you use a dolly that can handle the weight of the slab you're moving. Push the dolly carefully when the granite slab is on top, and be sure to keep it steady. Having another person walk alongside the dolly, steadying the granite slab, can be helpful. Place the granite slab into vehicle that will transport it. You might need one or more people to help you lift and steady the slab. Always align the granite slab vertically while transporting. Laying it horizontally in the transport vehicle can cause significant damage, including cracking.